One thing to note right off the bat about this recipe. I am providing two options for how to make it. The way that I made it was to use a large loaf of Cinnamon Challah bread from a local bakery. This type of bread has no frosting, which is why I went back and added the optional glaze at the end. If you aren't able to find Cinnamon Challah locally, this recipe by Vintage Kitchen Notes looks delicious. If you are using cinnamon rolls with frosting already on them, use your best judgement to decide if you want the optional glaze. Try a bite without the glaze perhaps and see if you think it needs any additional sweetness that the glaze would provide. 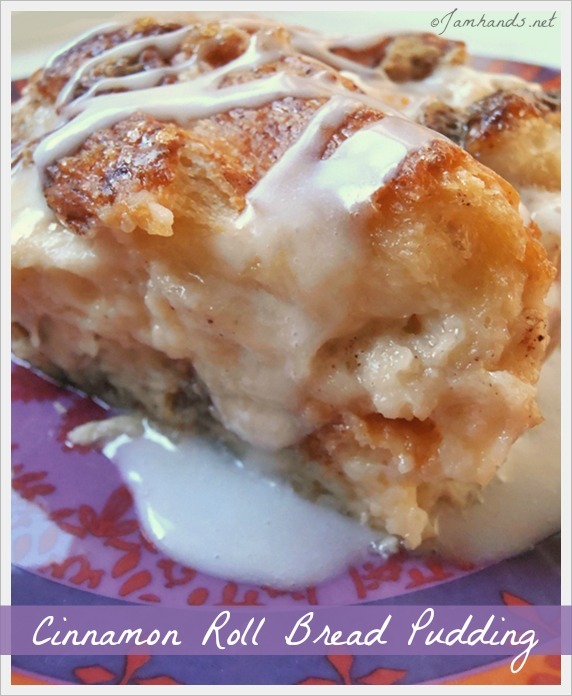 In my opinion, the key to success for this recipe is using a very good quality of either Cinnamon Challah bread or cinnamon rolls. 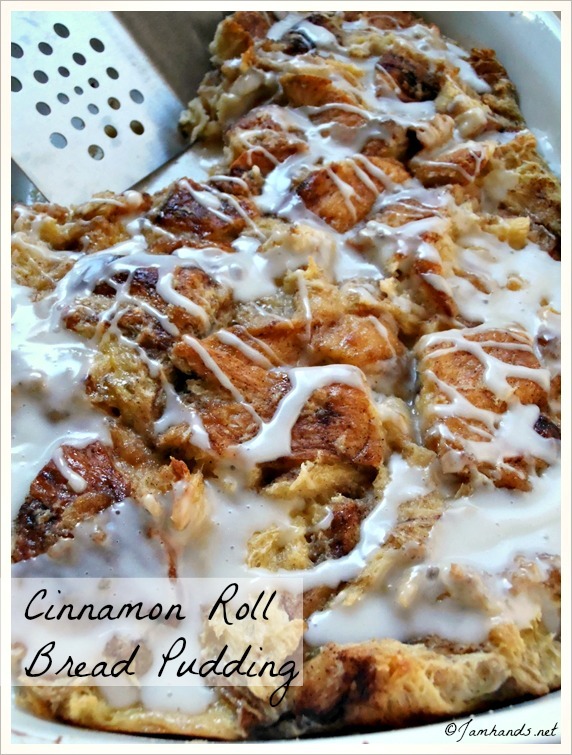 If you use a bad quality cinnamon roll, I am not sure it will make the best ever bread pudding. 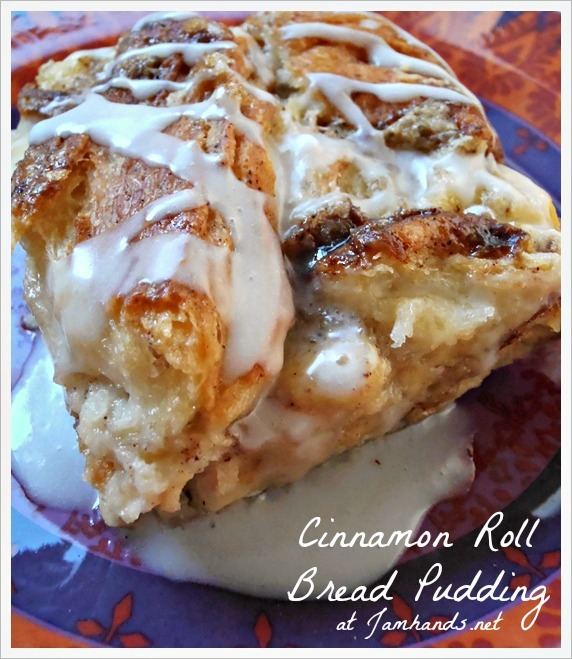 Really great cinnamon rolls that are a day old and just a bit stale are perfect. Preheat oven to 325-f degrees. Spray or butter a 9"x13" casserole dish with cooking spray. Cut cinnamon rolls into large pieces. Set in a large mixing bowl. In large bowl, whisk together the beaten eggs, milk, sugar and vanilla. Pour evenly over the cinnamon rolls. Let mixture sit for about 20 minutes to allow the eggs mixture to soak in. Bake for 50 to 55 minutes or until set. Adapted from The Dutch Baker's Daughter. Sharing this recipe at the following fun link parties. Cinnamon rolls are one of my weaknesses. Bread pudding is another. I'm in trouble now(in a good way, that is)! Oh hello! this looks fabulous! I'll take two servings please! Looks delicious! This looks incredible!! Thanks for sharing!